If you've read my post about the Celeteque Advanced Trio Bloggers' Event, I'm one of the girls who got to take a bag of these yummylicious Skin Cravings goodies. Oh! 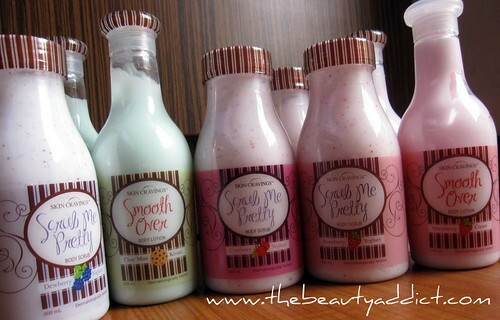 These are really delicious smelling skin treats. If you love fruity scents, you gotta try this! 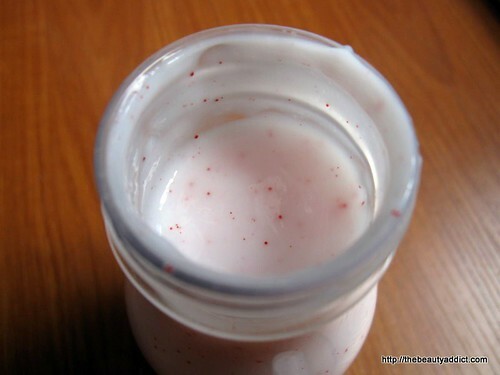 I've been using the Strawberry Yoghurt Body Scrub and Cream ever since I got them and not once I got tired of the scent. They always make me wanna sniff my skin after bath. 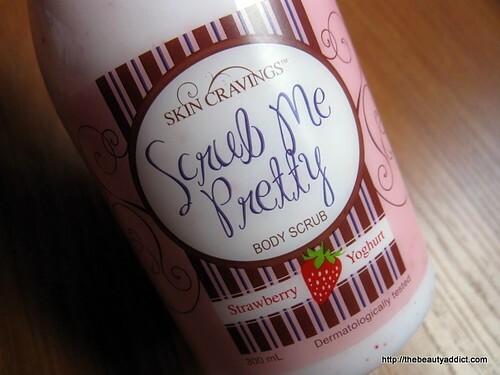 The scrubs are a bit bigger compared to my other body scrubs so you can really feel them while lathering on your skin. My only con is it takes time to rinse those scrubs that's why I don't use it when I'm in a hurry in the morning. I can't wait to try the choc mint lotion!